FOR OVER two decades the truth about apartheid-era bank bail-outs, corporate slush-funds, financial life-boats, espionage and dirty tricks was suppressed by the mainstream press. The country’s state broadcaster, the venerable SABC even went so far as pulling the plug on a documentary by Silvia Vollenhoven, which linked Swiss bank accounts to various deals. Project Spear relates the story of how various politically-connected individuals looted the treasury during the last days of the ancien regime. Alternative press outlets such as Medialternatives are the loan voice in the wilderness when it comes to exposing ongoing apartheid corruption, and continues to carry the story behind the creation of a vast media cartel, responsible for state capture, and controlled by several Afrikaner businessmen. Then suddenly in 2017, the Mail & Guardian decided to take off the gloves and publish several articles by Phillip de Wet, in the process rebooting a lapsed tradition started by its predecessor, the Weekly Mail, giving apartheid the finger. This was soon followed by important new contributions to the subject by Hennie van Vuuren and Michael Marchant of the Daily Maverick, as the Independent Group was once again forced to follow the lead taken by smaller publishing houses. The source of much of the information appears to be a report released by the Public Protector. It is doubtful whether any new journalism of any major import gets generated at Newspaper House, whose mandarins appear happy to lead with stories about the antics of snake-oil pastors and facile Ford Kuga anecdotes. After the rather timid newsroom shake-up which occurred following the acquisition of the company by Dr Iqbal Surve, the group appears to have once again settled down to the dry mediocrity of its flagships, and the yellow-journalism introduced under Irish press baron Tony O’Reilly. The UN climate summit in Durban, South Africa, ended with one of those marathon all-night cliffhanger negotiations that the media love so much. The outcome was a commitment to talk about a legally-binding deal to cut carbon emissions – by both developed and developing countries – that would be agreed by 2015 and come into effect by 2020. It was about as tortuous and vague as that sounds. A NEW global multimedia megacorporation is determining the future of communications on Planet Earth. From cradle to grave, chances are your life is already affected and controlled by Channel Life. If you attend Damelin College or City Varsity, buy tickets via Computicket or access broadband with MWeb, your life has been inextricably altered by Channel Life. Whether you surf Facebook, play with Mixit (until recently 100% owned by Naspers) , read ZigZag or Saltwater Girl or any one of 60 magazine titles, or watch the plethora of Multichoice Television programmes on DSTV via a vast array of platforms owned ultimately by insurance giant Sanlam you may knowingly or unknowingly be a part of the Channel Life experience. If Channel Life did not exist, then someone would have had a good cause to create the term to express the way humanity is increasingly becoming interconnected through communications technology. Problem though, Channel Life does exist and it describes a lot more than a shareholder stake in a complex holding structure behind today’s networked mega-corporation. Will the SA Press Ombud clear up the lies? Publish and be damned, as the old saying goes. For too long South Africa’s press have been allowed to print lies and get away with not telling the truth. The two rulings on “anonymous sources” by the Press Ombudsman may help to save the reputation of the mainstream media, but it does absolutely nothing to quell suspicion that print media lies and often gets away with it. I can name the names of professional liars at Media24 and the Independent Group. In fact I have evidence which will not see the light of day, because the media insist the rules only apply to the rich. If you have wealth and money in South Africa, you can apply to the Press Ombud for a ruling. If you are poor and do not have the luxury of legal representation, then don’t bother making a submission. This is the fate of those who raise the ire of the people in charge — the hoodlums who have forgotten why the press is what it is — who essentially make their money out of the politics of influence and affluence. The corruption does not stop with diversification into the advertising and public relations industry, nor does it end with deals made with the petrochemical and property giants. The rot at Independent and Media24, ironically two media houses to escape the wrath of the Ombud, is pretty serious. Journalists are getting gagged by the very same people who proclaim to hold up the ideals of press freedom. People are being frauded by the very same people who claim to expose fraud in high office. South Africa’s press is corrupt and needs to clean its own house. It can start by firing reporters who concoct and fabricate news. It can clean-up by demonopolising and removing coporate interests that present clear conflicts of interest. If it cannot, then the Media deserves to be regulated, if only to save it from itself. SOUTH AFRICA’S news media knows absolutely nothing about the bribery and corruption scandal involving Brian Mulroney and Karlheinz Schrieber. The shenanigans of the Independent News and Media director has dominated overseas headlines and has been part of a three year investigation on Fifth Estate, Canada’s version of Third Degree – but local news media, many of whom are employed by Mulroney, can’t be bothered to familiarise themselves with the facts, and see the subject as taboo. “I can’t comment, I’m uncomfortable with this, there are some things I don’t want to know” said Franz Anton Kruger of the Wits School of Journalism. Patrick Conroy of eTV news express complete cluelessness: “I don’t know!” When asked if he didn’t know because he was not party to the facts or didn’t know because he didn’t want to know the truth, he was even more vague, “No comment”, he blurted before putting down the phone. Several print media journos, all expressed utter ignorance of the case and it would appear local media is in the process of denying the inevitable – an INM head has been caught red-handed taking kickbacks from business and the arms industry. Mulroney is the disgraced former progressive conservative party Canadian PM, now the subject of a public inquiry held before Canada’s privy council. The Oliphant Commission was appointed late last year and is about to embark on a series of public hearings that look set to rock international media, even though its current terms of reference are also the subject of serious debate. According to the Canadian Press, the price tag for the inquiry will set Canadian taxpayers back by $ 14 Million. Mulroney is a non-executive director of Independent PLC the parent company of Independent News and Media PTY LTD which prints such titles as Cape Times, Star and Argus and owns some 137 newspapers worldwide. He also sits on the local international advisory board which sets newsroom policy for the media group and recently attended a function of the World Association of Newspapers at Cape Town castle where he could be seen hobknobbing with industry bigwigs and corporate tycoons who have literally bought the local press, lock stock and barrel, turning SA media into unaccountable, personal fiefdoms in the process. I asked Kruger, the author of a book on Media Ethics, whether or not he knew of any colleagues taking bribes, or if he had received any cash in exchange for favours from people like Karl-Heinz Schrieber? When will South Africa’s media know anything? Probably never, judging by the lack of concern for what is surely the hottest corruption scandal involving print media this century. WHILE the outrage expressed by certain journalists of a paler complexion, at Friday’s re-launch of the Forum of Black Journalists (FBJ) is understandable (some white journalists were denied access while others were barred entry) – this blogger can only shake his head and remark at the hypocrisy of all concerned. SANEF launched into a full scale uproar at Friday’s event, with a reaction which some called “rather stage-managed”, and yet the corporate editors forum continues to turn a blind eye to similar situations involving journalists in the lower ranks employed by its own affiliates. 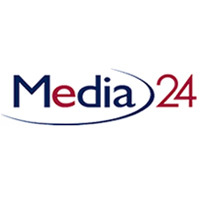 SANEF have yet to comment on several allegations of discrimination against Media24 — a labour case has been lodged before the Labour Court in which it is alleged the company maintained and continues to maintain a system of racial profiling and racial segregation, particularly in one of its newspaper divisions, amongst other things. As a struggle journalist who experienced the system of racial segregation first-hand, and having fought against racial prejudice, one would have thought the SANEF at least possessed the temerity to issue a letter of support. Not even a statement from the Freedom of Expression Institute has managed to galvanise these corporate sycophants into action. Yes, the FBJ are being hypocritical in railing against the legacy of the apartheid system while at the same time, denying others the same right. No less than a show of solidarity amongst brothers will dispel this concern — If the FBJ is a product of the system, then surely it should not be prolonging the system any longer than is absolutely necessary? Any structure based upon race is an obvious anomaly in the new South Africa, but is such a thing as the FBJ an incongruency out of step with the times? As many still argue, such structures are needed to address unique issues and special concerns raised by black journalists. To argue otherwise is to ignore the conditions under which black journalists have had to work, so the FBJ has my support. SANEF on the other hand, are clearly nothing more than a gang of reactionary nincompoops driving around in expensive limo’s and as Polokwane has shown, increasingly out of step with the masses. SANEF has also been quick to criticize structures such as the FBJ — those which it perceives as a threat to the colonial legacy of baaskap under the current neo-conservative agenda while dragging heals on others. What is good for the goose is surely good for the gander? Unfortunately SANEF does only what is necessary when it is convenient to do so and when its actions are unlikely to eat into the profits of its affiliates. Sheer hypocrisy of the highest order, amongst those who should know better.